We know how eager your child is to finish up their braces – and we know you’re probably ready to finish up the monthly appointments and family dietary restrictions too. And while we wish we could wave a magic wand to supernaturally straighten teeth, orthodontics isn’t quite there yet! But what we can offer are tips that will keep you and your child on the straight and narrow during treatment. These guidelines will help braces get the job done as quickly as possible. The sooner orthodontic treatment is complete, the sooner you can move onto the next phase of life. And with a straight smile to look forward to, the prospect of post-braces existence is even more exciting. Talk through these steps with your child or teenager, and get in touch if you have any questions that we don’t answer below! Braces accomplish this through bone remodeling, through which old bone tissue dissolves as new bone tissue is formed. This allows teeth to move and also solidifies their new alignment. After braces, it takes up to 10 months for the new bone growth to become stable, which is one reason why it’s so important to wear retainers post-treatment. There are a few different stages of braces that also need to be completed, each with its own allotted time. Something to remember, even if you have a treatment plan that indicates more than a year in braces, you’ll see results (straighter teeth and a better-aligned bite) before you get your braces off. This way you can get a hint of what to look forward to! Even simple cases will need months in braces to yield effective and safe results. If the malocclusion is more complex, there will likely be a longer treatment period necessary. Talk to your orthodontist about your treatment plan to learn which steps will be completed at which intervals. While “follow instructions” may not sound thrilling, it’s the only way to make sure your braces go as quickly as possible. Adhering to the rules that your orthodontist provides will keep your braces progressing as expected. To help you along the way, we’ve included some overarching guidelines for fast orthodontic treatment below. Don’t risk dangerous foods – The fleeting sense of satisfaction from a Jolly Rancher isn’t worth a wrenched bracket. If you think that a snack or dish might be harmful to your braces, it’s always a good idea to err on the side of caution. Broken brackets or loose wires not only feel uncomfortable, but act as a treatment setback. When everything isn’t working properly, your braces won’t straighten the way they’re supposed to. Check out our list of problem foods and remember to avoid anything crunchy, sticky or hard. Eat healthy – In addition to skipping problem foods, it’s a good idea to make sure you follow a nutritious diet. Skipping excessive sugar and starch will help prevent plaque buildup in your mouth. Learning how to brush and floss with braces is always a little tricky, and reducing plaque from the start helps you avoid cavities. If you have tooth decay or gum disease while in braces, they may need to be removed for the problem to be addressed. This is a significant setback and definitely one you want to avoid. Always be cautious – When you’re considering a potentially problematic snack, about to bite your pencil, or going to bed without brushing, think again. Be careful when you’re making choices that affect your braces. Check in with yourself to make sure that you’re not going to do something unsafe that could jeopardize your braces. Protect your braces – If you play sports, get a mouthguard to protect your braces. Always clean your braces with care, and don’t get overly aggressive when brushing. Ask us if you’re looking for products that will make your oral hygiene simpler. Wear your rubber bands – Wear whatever your orthodontist requires. Rubber bands help accomplish subtle tooth movement, and if you don’t wear them, they won’t be able to do their job. This can end up causing the need for additional months in braces. If you run out of rubber bands, stop by one of our offices for more! 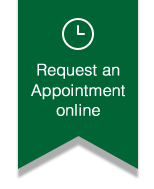 Keep your appointments – Regular appointments are necessary so that your wires can be replaced and we can monitor your progress. New wires keep your treatment on track and continue moving your teeth toward a straight smile. Make sure you keep your exams because if you miss one it may take a little time to reschedule, costing you progress. If you’re ever uncertain of what to do next, or your sustain any kind of damage to your brackets or wires, get in touch right away. Our team is here to help you succeed!